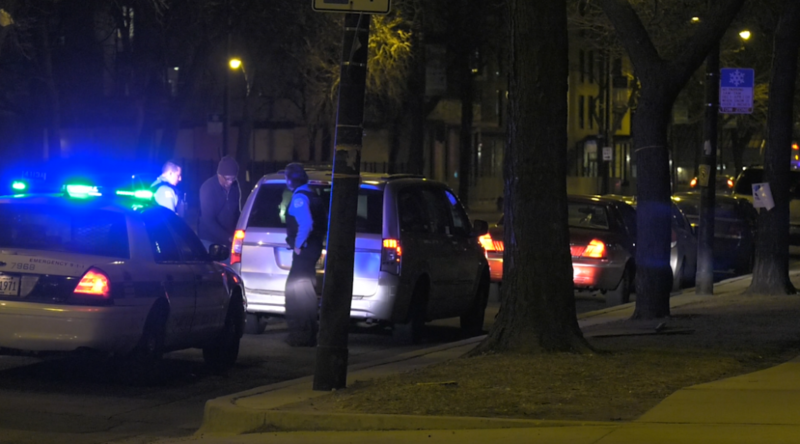 A beat facilitator is a volunteer who connects Chicago police officers working a beat with members of the community to help combat neighborhood violence. Beat facilitators meet monthly with the officers to talk about safety concerns at Chicago Alternative Policing Strategy (CAPS) meetings. The CAPS program began in 1993. More than 200 meetings happen every month.As the weather gets warmer, crime often goes up. On a recent Tuesday night, police with the 3rd District joined the neighborhood beat facilitator to do what is called “positive loitering.” The very presence of police walking in the community has been known to lower the crime rate. Between December and February, the number of burglaries went down in the 3rd District, according to the beat 311 officer Dan Sala at its March CAPS meetings.